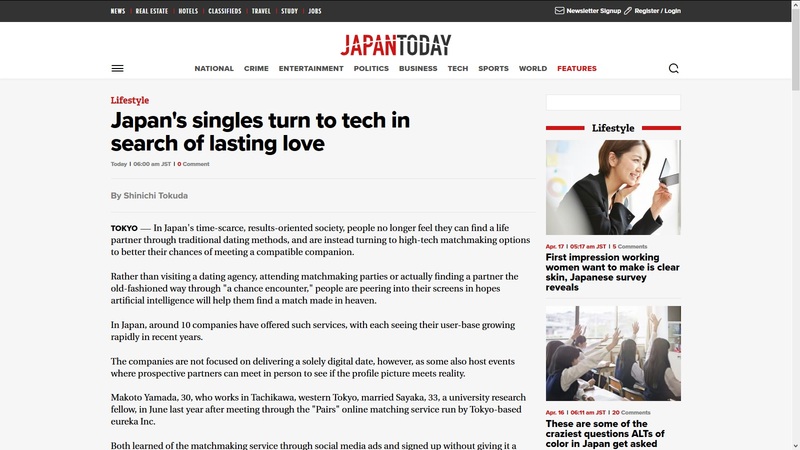 Japan's singles turn to tech in search of lasting love ? 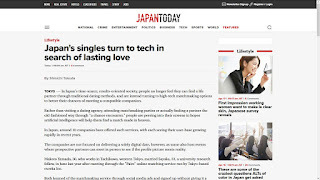 article: Online Dating In Japan: What Apps Are Worth It And What Aren’t? Match Japan, 3 years from its NEW redesign ! Scientists are studying your tweets, YouTube videos, Instagram posts. 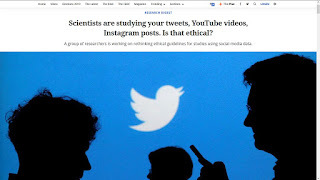 Is that ethical? That is the only way to improve recommender systems, to include the personality traits of their users. They need to calculate personality similarity between users but there are different formulas to calculate similarity. 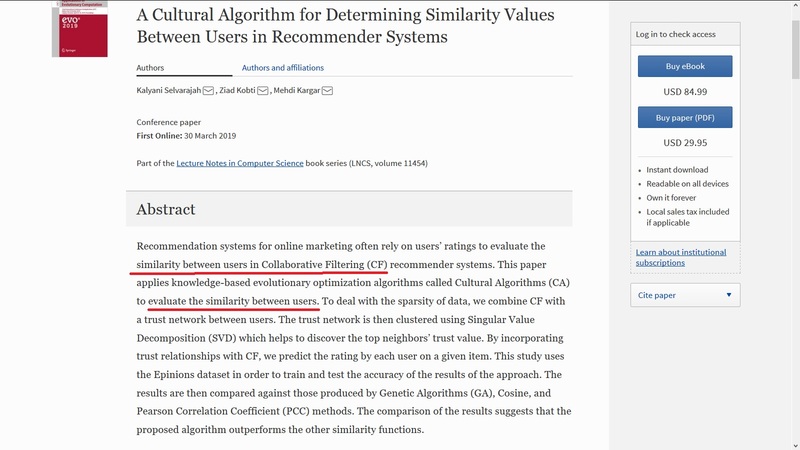 In case you did not see, recommender systems are morphing to compatibility matching engines, as the same used in the Online Dating Industry for years, with low success rates until now because they mostly use the Big Five model to assess personality and the Pearson correlation coefficient to calculate similarity. Please remember: Personality traits are highly stable in persons over 25 years old to 45 years old. The key to long-lasting romance: COMPATIBILITY is exactly STRICT PERSONALITY SIMILARITY and not "meet other people with similar interests or political views". Which is the RIGHT approach to innovate in the Personality Based Recommender Systems Arena? 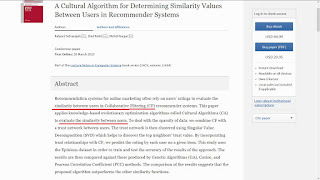 The same approach to innovate in the Online Dating Industry == 16PF6 test or similar to assess personality traits and a new method to calculate similarity between quantized patterns. Online Dating sites have very big databases, in the range of 20,000,000 (twenty million) profiles, so the Big Five model or the HEXACO model are not enough for predictive purposes. That is why I suggest the 16PF6 test instead and another method to calculate similarity. Without offering the NORMATIVE 16PF6 (or similar test measuring exactly the 16 personality factors) for serious dating, it will be impossible to innovate and revolutionize the Online Dating Industry. 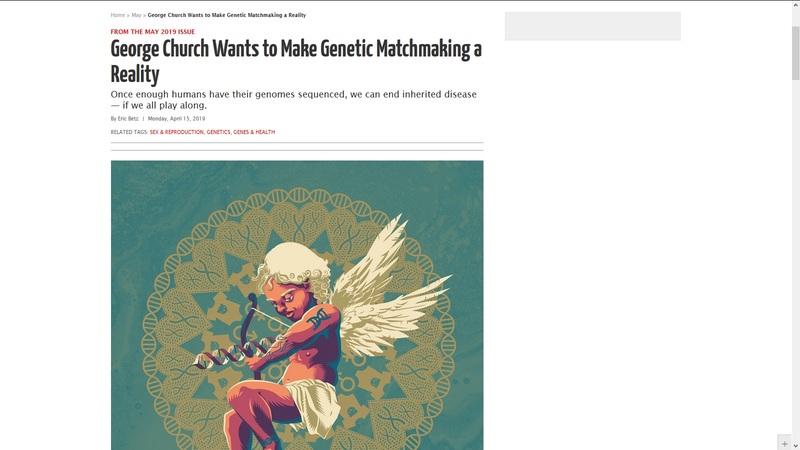 George Church Wants to Make Genetic Matchmaking a Reality ??? 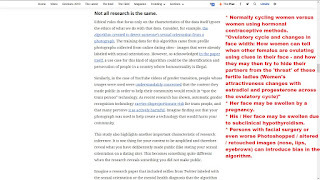 and not proved: women attracted by those men for long term mating with commitment. 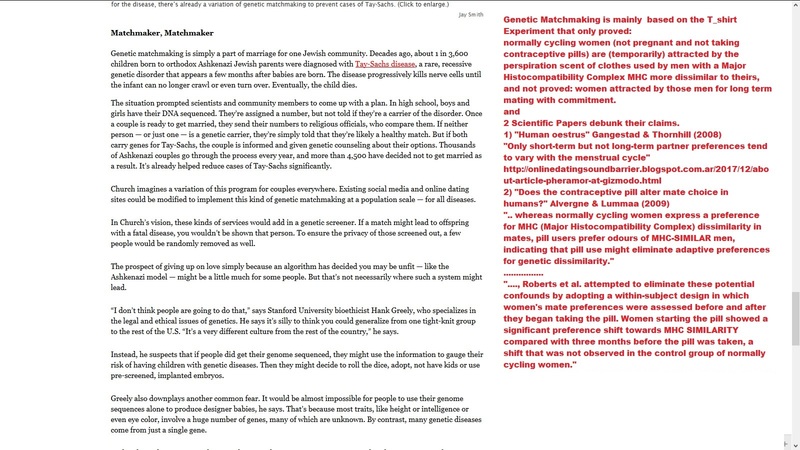 2 Scientific Papers debunk their claims. "Only short-term but not long-term partner preferences tend to vary with the menstrual cycle"
".. whereas normally cycling women express a preference for MHC (Major Histocompatibility Complex) dissimilarity in mates, pill users prefer odours of MHC-SIMILAR men, indicating that pill use might eliminate adaptive preferences for genetic dissimilarity." "...., Roberts et al. 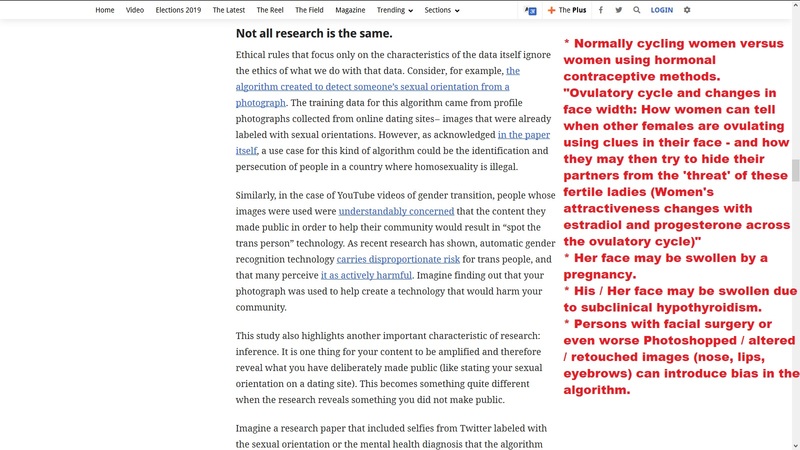 attempted to eliminate these potential confounds by adopting a within-subject design in which women's mate preferences were assessed before and after they began taking the pill. Women starting the pill showed a significant preference shift towards MHC SIMILARITY compared with three months before the pill was taken, a shift that was not observed in the control group of normally cycling women." At the paper "Perceptions of Ideal and Former Partners' Personality and Similarity"
".... mismatches in personality are a frequently mentioned cause for relationship break-up. If former partners indeed have dissimilar personalities, our findings underline how difficult it is for many people to select a mate with a similar personality, or, alternatively, how little value individuals put on finding a similar partner in terms of personality. The present study's results, as well as the results found in previous studies (e.g., Eastwick & Finkel, 2008), may be used to educate people, especially singles, about what really matters in long-term relationships, for instance, similarity in personality, instead of complementarity." Compatibility is all about a high level on personality similarity between prospective mates for long term mating with commitment, and not meet other people with similar interests or political views. Suggested USA FTC investigate Instant Chemistry Inc. and Gemetrics for SCIENTIFIC FRAUD, misleading statements, false claims, overpromises. 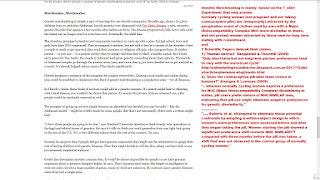 More fraud from eHarmony UK talking about "Future of Dating 2018"
about article: Does DNA Dating Pass the Genetic Sniff Test? 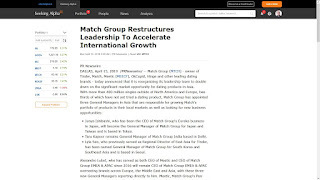 Match +1.2% on new Asia GMs, hiring spree ? 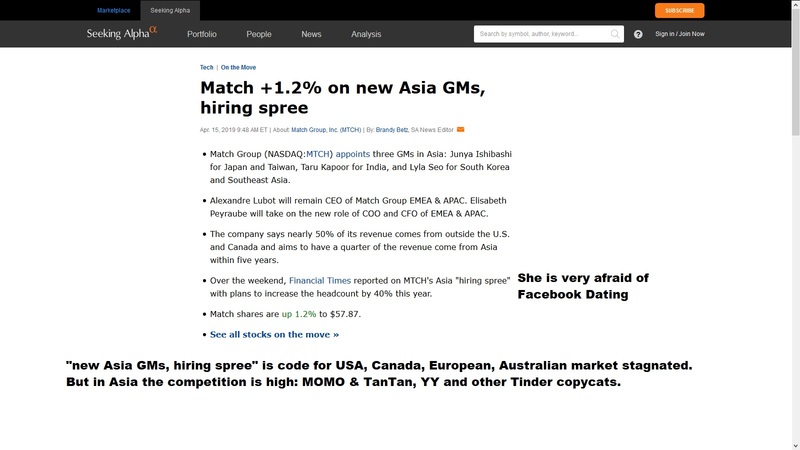 "new Asia GMs, hiring spree" is code for USA, Canada, European, Australian market stagnated. 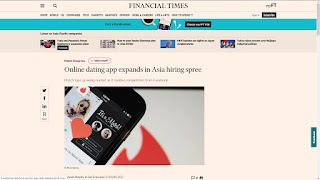 But in Asia the competition is high: MOMO & TanTan, YY and other Tinder copycats. 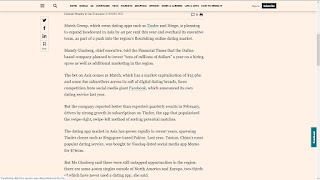 FT article about "Match taps growing market as it tackles competition from Facebook"
Lack Of Innovation & Decadence can summarize the Online Dating Industry. C-Level executives are more worried about their golf scores than their company’s long term strategy and innovations. C-level executives are cooking barbecues under the water (selling smoke) and not paying attention to latest research from Academics which could be beneficial for the Online Dating Industry. 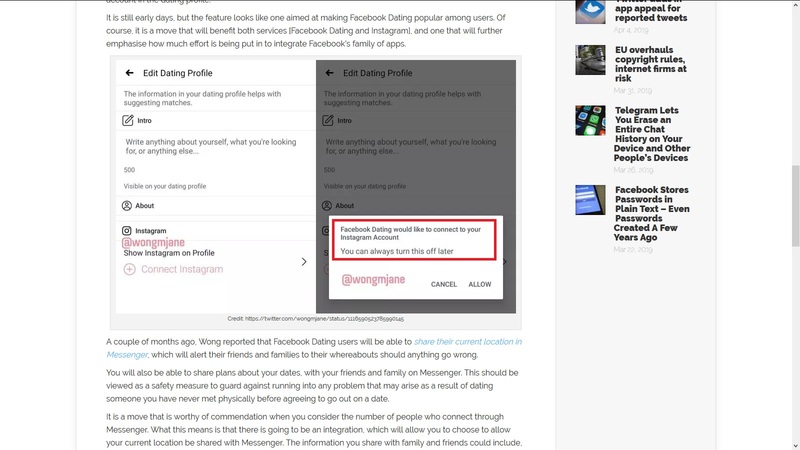 Facebook Dating will allow daters to connect with Instagram account. 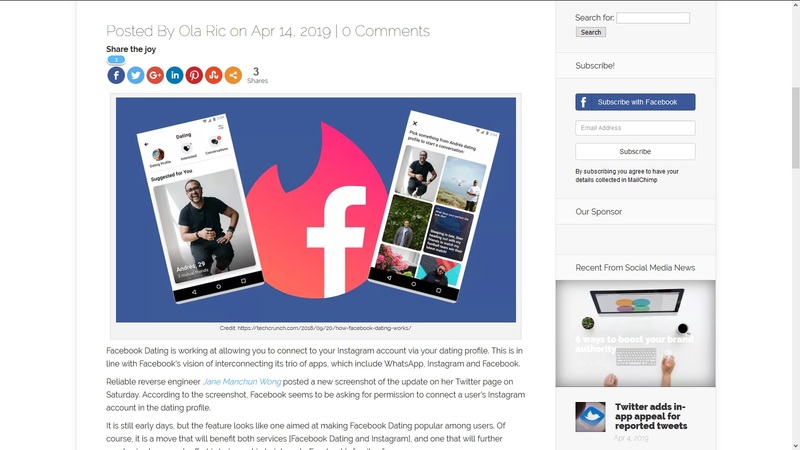 Facebook dating is in big war with Tinder, Badoo, Bumble, PlentyOfFish (POF), OKCupid, Zoosk, Happn, Hinge, Once, CoffeeMeetsBagel (CMB) and many other online social dating applications that are vaporware! 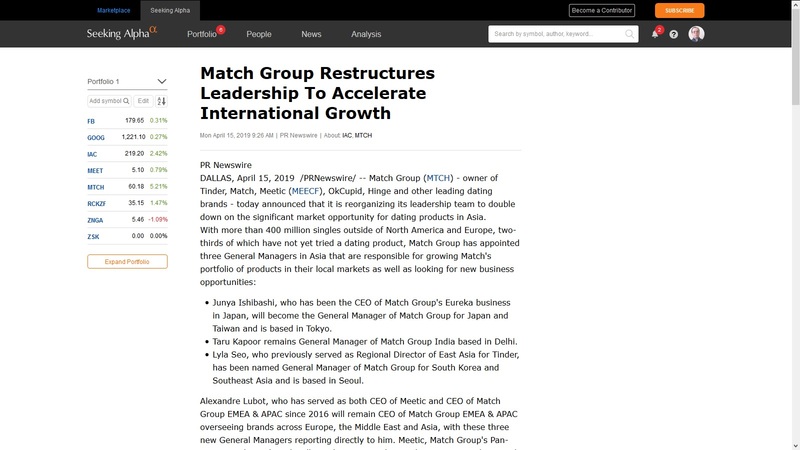 The Match Group (MTCH) is only a collection of old and obsolete online dating sites: Match, Meetic, Chemistry, OkCupid, LoveScout24 (FriendScout24), OurTime, HowAboutWe, PlentyOfFish, Pairs and many more and all of them are past their primes, reached operating ceiling and they are in decadence. Even Tinder seems to had reached operating ceiling. Match Group in big war with Russian Mafia of Badoo, backers of Bumble, in the spyware business. Why online dating apps are the real black hole? Dating Startups Aim For Disruption ? WOKE: Big Five normative test is OBSOLETE!!! eHarmony's CEO Discusses Artifical Intelligence ? 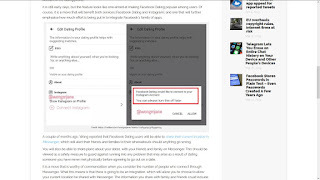 Mirror article: "Scientists develop an AI bot that can write TINDER bios"
but no one is using the 16PF6 (or similar) to assess personality of its members! but no one can show Compatibility Distribution Curves to each and every of its members!!! i.e. if you are a man seeking women, to show how compatible you are with a 20,000,000 women database, and to select a bunch of 100 women from 20,000,000 women database. but no one is scientifically proven! No actual online dating site is "scientifically proven" because no one can prove its matching algorithm can match prospective partners who will have more stable and satisfying relationships (and very low divorce rates) than couples matched by chance, astrological destiny, personal preferences, searching on one's own, or other technique as the control group in a peer reviewed Scientific Paper for the majority (over 90%) of its members. 3 most compatible persons in a 100,000 persons database. 12 most compatible persons in a 1,000,000 persons database. 48 most compatible persons in a 10,000,000 persons database. 100 times better than Compatibility Matching Algorithms used by actual online dating sites! 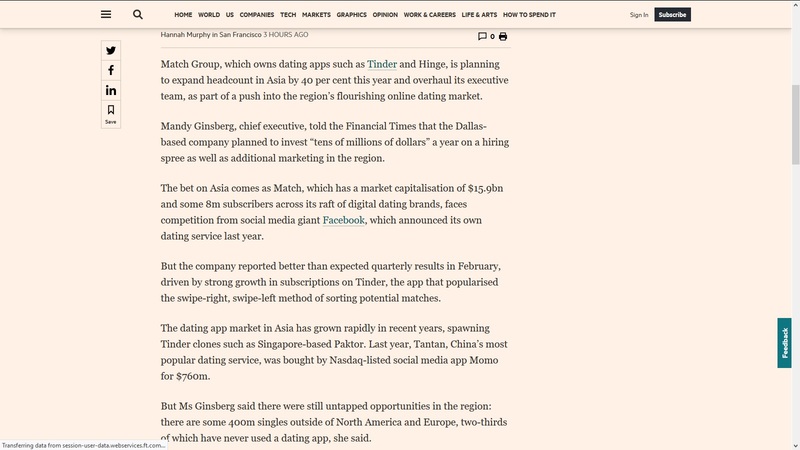 about article: Is Bumble Going Public in 2019? Tinder April Fools' joke BACKFIRES ?